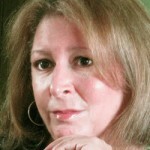 Andrea Q. Robinson is that person, and her years as the ultimate insider in the world of beauty, makeup, and skincare have given her enough fodder and then some to write Toss the Gloss: Beauty Tips, Tricks & Truths For Women 50+. Her resume is more than impressive: former chief marketing officer of Estee Lauder president of Tom Ford Beauty, beauty editor of Vogue, and president of Ralph Lauren fragrances. As president of UltimaII, she spearheaded the natural (“naked”) makeup trend, and it is this adherence to looking unfussy and overdone that is the central theme of her book. She ascribes to the Japanese concept of “Wabi-Sabi,” the beauty of imperfection, and making the most of what you’ve got in a low-maintenance manner. She provides a good amount of gossipy tidbits and inner circle secrets (the “gift with purchase” deals are only there to lure you in, and one research lab in each corporation usually creates the same ingredient that is widely used in both their low-and high-end products), but the real value lies in the primer chapters that provide instructions on how to apply head to toe products. (The drawings here were probably the one thing I did not like about the book–for someone with “two left hands,” such as myself, actual photographs would have been more helpful. Regardless, Robinson explains all techniques in grand detail, so if you’re not visually inclined, you can still get the hang of it.) Also very helpful are her recommendations of products and color for each skin type and hue. I applaud Ms. Robinson for finally addressing the ever-changing beauty needs of the 50+ woman. In this book she remains true to her philosophy, and does so, “without fuss.” I so appreciate someone from the industry who actually believes “less is more” when it comes to makeup for our demographic. And while the author does touch upon actual “facelifts,” she spends more time on the facelift you should be giving your makeup bag and bathroom vanity. There’s been talk of Robinson starting her own makeup line, for, of course, women our age. I will definitely look into that when the line hits the stores. Am buying. That says it all, doesn’t it? Thanks Carol! My job is done! SOLD! If I could write this in BOLD letters I would. I always noticed when women begin to age they first began to wear more makeup, and then slowly begin wearing less as time wore on. I would love to know how to wear less and still look pretty good. I always feel naked without any makeup on. So this was the perfect review for me, Mindy. Thanks so very much. Thanks Cathy! Totally agree with her philosophy. How many times have you seen women our age so overdone with makeup that they look like clowns? Time to get rid of it. You had me at this: “the Japanese concept of ‘Wabi-Sabi,’ the beauty of imperfection. I ascribe to the same and even have the words “A beautiful thing is never perfect” on one of the walls in my house. I look forward to picking up this book. She sounds like my kind of gal. Great review! Thank you, Mindy. Thanks Lisa! I am really looking forward to her makeup line. Curious to see what colors she recommends. Looks like a great book, Mindy. I believe I remember Andrea from my days working as a beauty editor. She was always a savvy lady. I really enjoyed it, Estelle. Appreciated her not recommending lots of extra “stuff” we don’t need. Thanks for the wonderful review Mindy! My motto…Less is more. Totally agree with you Nancy! Trying to implement that philosophy in every aspect of my life. Looks like a good book. I’m a girlie girl and love make-up. I am wearing less as I age though. But I gotta admit–I love my mascara and lipstick. #gottahaveit. I and a whole gaggle of my gal pals were inducted into Club 50 last year – I think I’ll be getting each of them a copy of this book for their 51st! Great idea, Kim! I guarantee you they will get a lot of use out of it. Sounds like a book we all need. I do hope she comes out with her own line; I’d buy it! Me too, Sheryl. I’ll be on the lookout and report back if I hear something. Great review…there is certainly enough interest here to justify purchasing it, although I must confess to just a tinge of annoyance when I hear of ‘tell all’ books written by former industry insiders. It is a pity they (and we) can’t be more outspoken when sitting in the power chair! Ruby, this isn’t a “tell-all” in the classic meaning of the word. Andrea does in no way betray anyone’s confidence or libel anyone. What she does is divulge some of the industry “secrets” that consumers have no idea about. I, for one, was very appreciative. It gave me a better understanding, and helped me be a wiser consumer. Enjoyed the book and wrote down products I want to try that I haven’t already. However I am now taking much of her advice with a grain of salt because at the end she talks about having a face lift. This fact makes a big difference in applying her suggestions especially for cosmetics and the application of them,. Some of use for financial or other reasons cannot indulge in facelifts. Most magazine articles geared to the more “mature” woman indicate less is more etc. By the way I find that powdered blush doesn’t have the negative looks she describes and often apply a little over the cream blush that doesn’t seem to last. In the end I believe it is a book that you can use to help you make some changes if necessary but not to be followed without question. Point: I have tried her suggestions of lipsticks and everyone including myself think they don’t do anything for me!